I have a new painting available, but in print only. The original will be displayed somewhere at my church at some point. 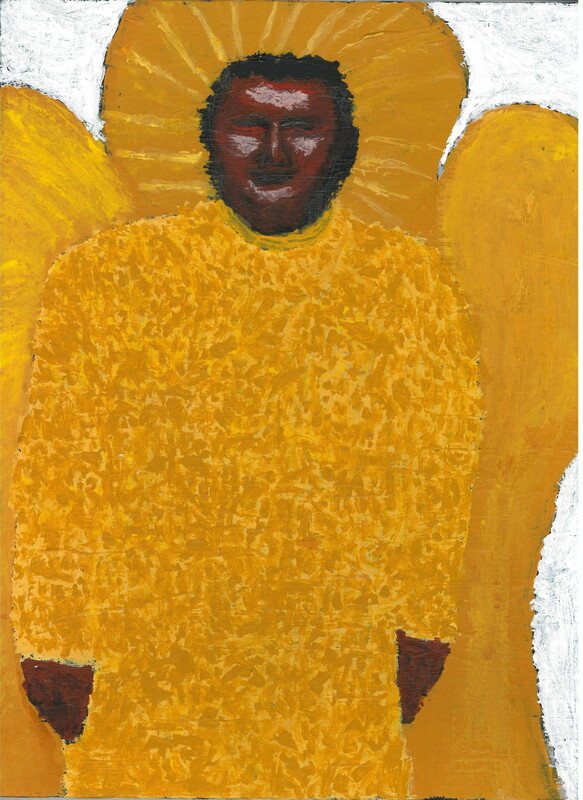 To buy them, visit Imagekind: Angel Ahijah Worshiper of the Lord. I had a vision or waking dream of this angel a number of years ago, the vision ending with me carrying a painting of the angel under my arm. So I got the idea of painting it. When you consider how bright angels are, and this angel is no exception, the colors you see in the painting are but a pale idea of what you would see. I am also sure that if I had seen seen him any brighter than I saw in the vision, it would have been very hard on my natural eyes.